Distinctive and contemporary yet elegant, our range of modern and traditional style Bi Fold doors from Harpenden Windows are a practical, space-saving and stylish way to join outdoor and indoor living, they truly transform the appearance of your home. Bi Fold doors are so versatile they will complement any property, new or existing build, an extension, even a period cottage. It will change the way you interact with your home and holds the key to longer summer days, warmer winter evenings and an all year-round uninterrupted widescreen view of your world. 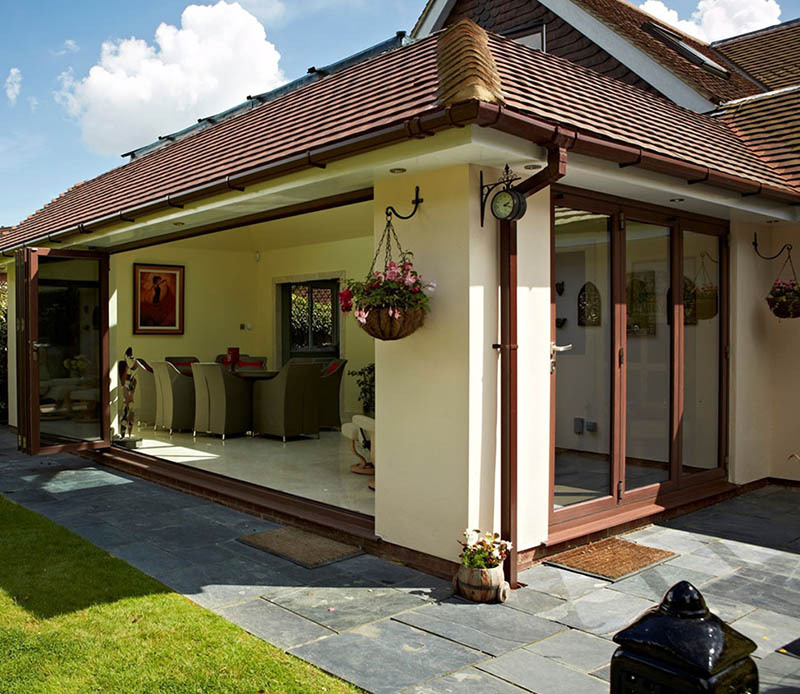 For over 30 years Harpenden Windows has been the trusted supplier of high quality Bi Fold doors throughout Watford, Hertfordshire and surrounding areas. Imagine being able to open up an entire wall of your room, creating space & letting fresh air & natural daylight flood into your home. Our Bi Fold doors make a stunning, contemporary addition to any home and really give you that 'Wow' factor. Each door is custom-made to your exact specifications and are manufactured to be highly durable and low maintenance; they are available in a huge range of colours, styles and opening options.